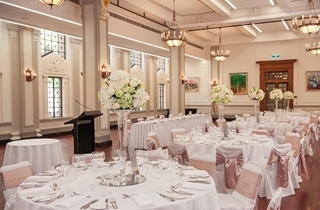 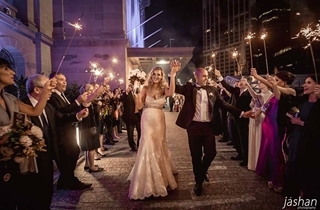 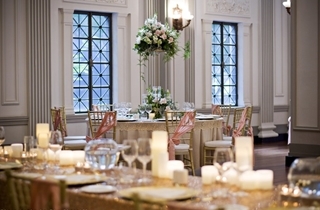 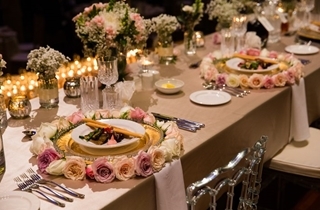 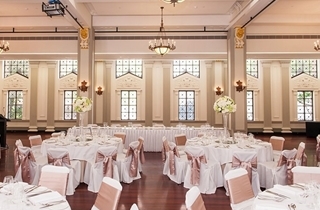 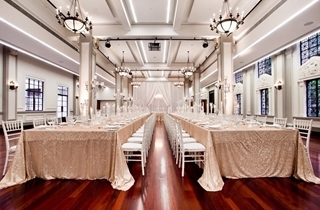 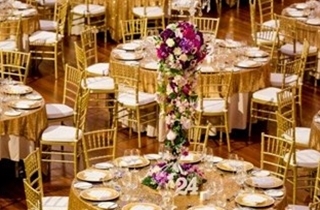 The Brisbane Room is our premier wedding space, with its beautiful chandeliers, stunning windows and timber floors, The Brisbane Room offers couples the most romantic setting for their wedding reception or ceremony. 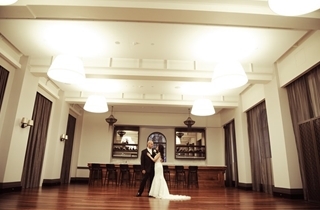 An outdoor courtyard adjoins The Brisbane Room offering you and your guests the perfect location for pre-reception drinks and lovely photographs. 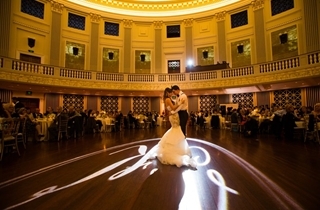 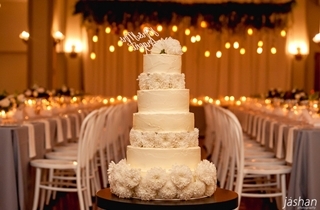 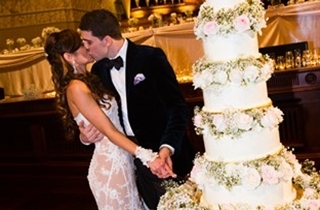 For a unique and intimate experience, the Hamilton Lounge brings the ultimate in style, sophistication and grandeur to your special day. 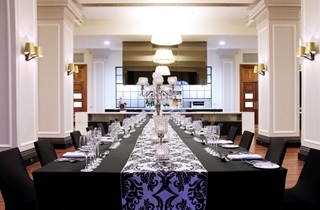 Beautifully presented, the deluxe lounge space boasts its own private bar and show kitchen which offers an intimate view of our EPICURE chefs at work. 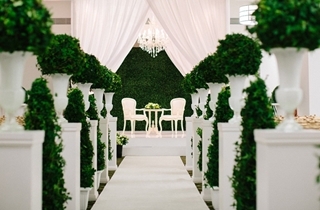 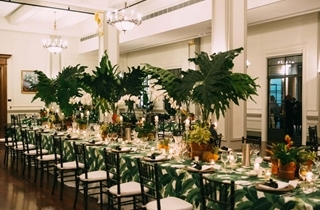 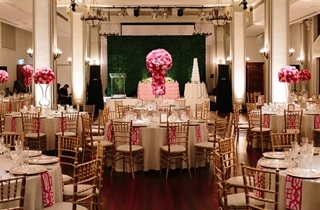 This is an ideal space to host a cocktail reception (special menus apply). 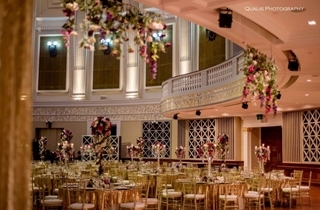 Your Wedding Coordinator can work with you on providing a bespoke option to suit your specific needs. 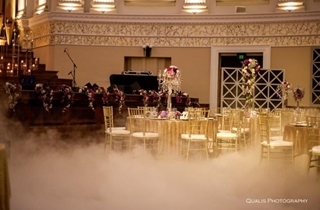 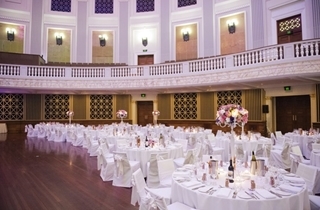 The Main Auditorium is an ideal venue space for larger wedding receptions. 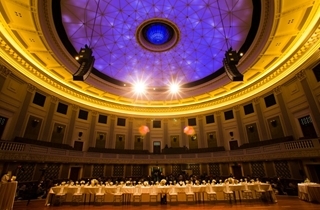 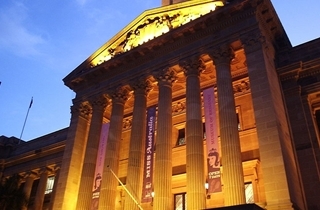 It is the largest single space in Brisbane City Hall and is one of the most photographed and renowned parts of the building. 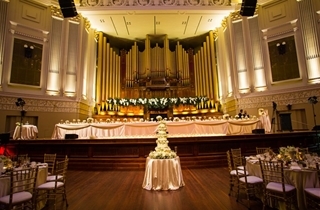 Its circular design with fluted pilasters around the perimeter is based on the Pantheon of Rome. 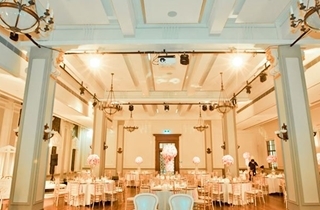 The high ceiling forms the background to the room’s focal point – a 23 metre high central lantern surrounding by the incredible dome ceiling backlit with 8,500 LED lights. 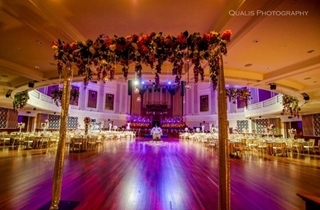 The timber floor, large stage, semi-circular balcony and grand organ are surrounded by a decorative frieze by world renowned Australian artist, Daphne Mayo whose sculptures feature on the exterior of Brisbane City Hall.